Elk Grove Film Club: Star Wars is Coming to Elk Grove High School! In preparation for the New Star Wars movie that opens nationwide on December 18, the EGFC will be presenting a Star Wars Film Festival and Raffle on December 13, 2015. Vintage movie trailers before each screening from the years of each film's release! 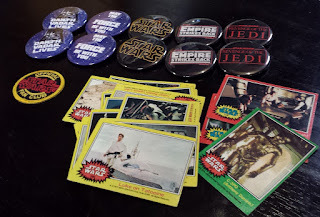 Various Star Wars collectibles will be raffled all day long! Scroll down to see the items! Food and drinks will be sold! The festivities start at 1 pm on Sunday, December 13th at Elk Grove High School. Tickets will be available at the door. $5 for each raffle ticket! 12:30 pm Box office and Concessions open. Pop, Coffee and Popcorn for sale. 3:20 Intermission. 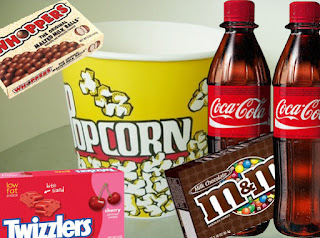 Pop, Coffee and Pop corn for sale. 6:00 Intermission. Pop, Coffee, Popcorn and Pizza for sale. RAFFLE ITEMS: This is a general raffle. Tickets will be selected randomly in the order of the raffle. The more tickets you have, the more chances you have of winning the items. This bonus raffle is only for the people present at the screening,. 10 Retro buttons, featuring Star Wars, the Empire Strikes back, "Revenge" of the Jedi, May the Force Be With You and "Darth Vadar Lives!" with the original misspelling! This novelty item is a silicon ice cube or chocolate tray. It features Han Solo frozen in carbonite. 1 large and 6 small. 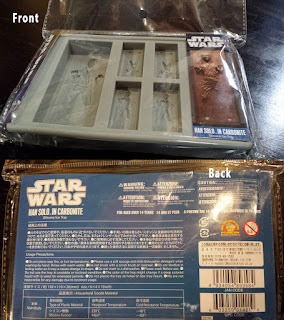 make your own ice cubes or chocolate bars featuring Han Solo! Escape from the Death Star! 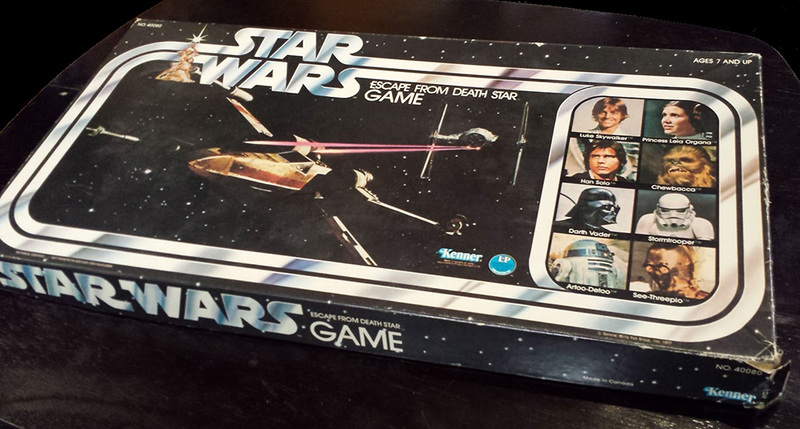 This is an original Kenner board game from 1977. 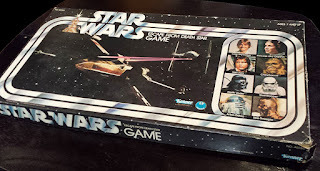 It has some wear, but is in great, playable condition. This was one of the most popular toys during the Christmas season in 1977! 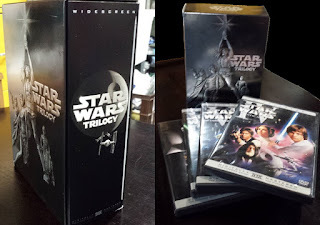 This set has the Star Wars, Empire Strikes Back and Return of the Jedi Special Edition movies. It also has a bonus disc with behind the scenes features. Widescreen edition. 2004. 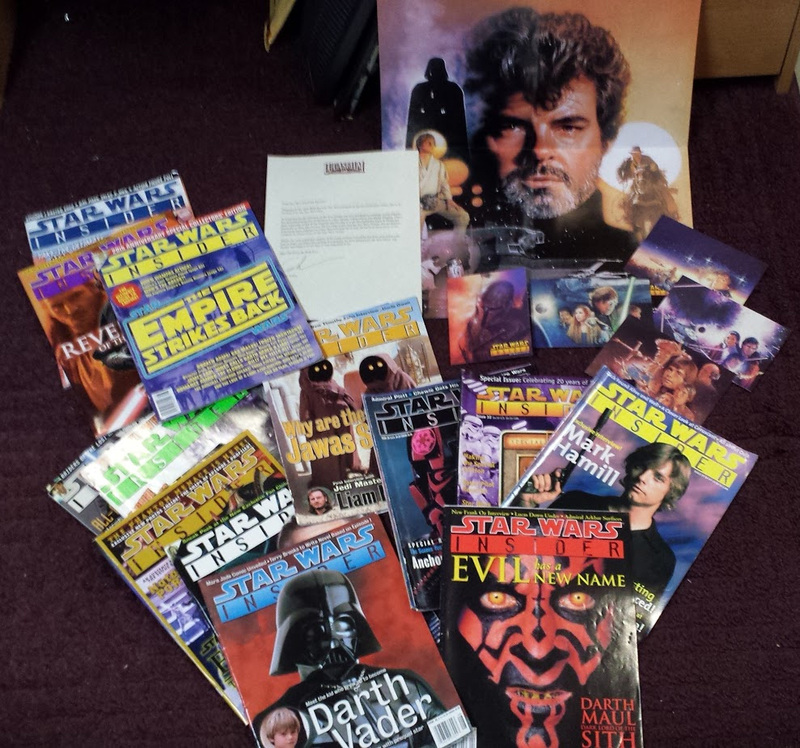 This set includes 14 issues of Star Wars Insider magazine from the mid-1990s. Plus a vintage Star Wars catalog, 4 post cards, a Fan Club welcome letter, a fan club sticker and George Lucas poster. All original items.